YouTube Termination Survival Call With Gideon Shalwick & Paul Colligan – Mp3 Download. Have you heard the fuss about YouTube terminating and suspending accounts? Now before things get out of context and people start speculating what’s going on, I wanted to set the record straight. I lined up a call with YouTube expert and video marketer Gideon Shalwick (the first person I called when my account was terminated) to answer some of the big questions floating around right now. This call is pretty much a YouTube Termination Survival Guide – everything you need to know about keeping your account in good standing and what to do if your account gets terminated or suspended. – What the hell is going on. – Exactly what happened behind the scenes to get my account reactivated. – What to do if your account is suspended for either Copyright or for violating the community guidelines. – What are the biggest myths circling around at the moment. – How to future proof your online video marketing strategy. And more of course… we chatted for around an hour. Suffice to say, if you’ve got a YouTube account you must listen to this call. Knowing how it feels to be on the wrong side of YT I wanted to do my bit to help anyone in a similar position. The call is free, no optins, no pitch… just 100% solid content. 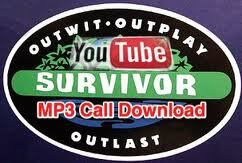 Click here to download the – YouTube Termination Survival Call. *Post Update: Following on from my call with Gideon, I arranged another interview with a YouTube heavy weight – Paul Colligan. In this call we covered even more on the topic of YouTube and what you can do to ensure your account says in good standing. We chatted, in addition to the usual topics, about automated tools, black hat strategies, Traffic Geyser and more. Suffice to say it’s a great listen. Click here to download the call with Paul Colligan. If you’ve got any interesting thoughts and/or comments, or maybe you just want to rant, please do so below. Ps. I know I’m biased but really feel like this mp3 should be required listening to anyone who owns a YouTube account so any help you offer getting the word out is much appreciated. Tweet, Facebook and email anyone you think this would help. PPs. Here’s some links mentioned in the call. How to appeal video strikes here. Read the YouTube community guidelines here. PPPs. A few of the other big names canned by YouTube in this cleansing program included: Darren Rowse, David Foster, Chris Farrell, Ross Goldberg… do you know of any others? Share them below. Thanks for stopping by and glad you enjoyed the call. Keep an eye out since I’ve just finished another one with Paul Colligan on the topic too – I’ll post that soon. As for the Post Panda update, are you an < <--link removed--> owner? I only ask since we announced an update call for all the owners. I’ll be looking to record this one sometime in the next couple of weeks. If you’re not an owner, send a ticket to our support: http://www.davidjenyns.com/support and I’m sure we can hook you up. Thank for the great call with Gideon on You Tube. I think it caught you and everyone off guard. You were not a spammer but guilty because of spammers of make money. You tube was judge,jury and execution without even getting your side. I haven’t really gone into video marketing yet but that’s good news because now I should just listen to this call first before I start doing anything in YouTube. Maybe YouTube doesn’t like people making money off its service? Not really sure about that as I don’t use it for commercial purposes, purely entertainment. Having said that, I think that’s the risk you have to take when you use free stuff. Still I’m glad everything turned out well with your account. Many thanks for publishing this article. As mentioned in your audio, I did get my YouTube account terminated. At first, I didn’t get any replies at all from YouTube to my questions, I just got my account closed. After several polite emails from myself, YouTube finally emailed me to tell me the “reason” ? for termination, the problem was a video I had uploaded about 9 months ago which had the words “Make Money Fast” in the title. Now, all my videos are instructional videos, they don’t SELL anything, they just instruct. I guess my real problem with YouTube is, that if this 1 video is against your terms of service, why can you not just delete or suspend that 1 video, why terminate the whole channel ?. I no longer have any faith in YouTube. Who can say that they won’t do the same thing again, even if they do return your channel. I do think, if this does happen to you, that you should appeal and keep appealing, politely – as you say. Then move on. Don’t waste valuable time banging your head on a CLOSED YouTube door.. I think the really good thing to come out of all this, is that you should never RELY on any one service anyway. Sure, YouTube is a great platform, but you should never rely on it entirely, build your business around several platforms, not just one.. It could happen with any of the big names – Facebook, Twitter etc… My advice, spread the RISK… get a backup service or two, their are other video sharing options out there. Grace: Yeah there’s some good tips in there! Jay: Maybe youtube just likes people when they’re making them money. Funny that YouTube actually send me an email yesterday asking me to join as a partner… how the tables appear to have turned. Casey: Thanks for the heads up… just checked out your post. Appreciate you stopping by and no doubt we’ll bump into each other again at some point. Keith: Hey Keith, thanks for stopping by and sharing your story… you’re right. I think the real take away is… “spread the RISK”. I’m so pleased you got your account reinstated. Thanks for all the information about what you did to get your account back and also for the valuable hints about what not to do. If only YouTube were as transparent about their actions as you are! So, this past Monday (8/22) I awoke to find a my Gmail account blocked that required me to get a pin from Google to be able to log back in. Once I was able to log in I had a note from YouTube that a video had been flagged: The title is Social Media Marketing Best Practices. Later I also found that my Gmail account that was setup on my phone was also missing. After all of that I also found that my account had been a)suspended, b) disabled, and c)terminated – depends on where you look. I am so glad that I found this post and I have submitted the request for more info to see what the problem is. I have only ever been warned once by YouTube (and this is it) so it would be nice if they would follow their own guidelines as we are expected to do so. P.S. David – most of our personal websites (< >) is under construction – given everything that has happened we learned some important lessons and are revamping everything and, like Gideon said, making use of what we control. For now you can read up on Jonathan Emile on Wikipedia and his FB page, etc. Looking forward to hearing from you David! Over a year ago there was one strike on Jonathan’s account for a video that was taken down, but no more strikes since then. Also, earlier this year there was someone who tried to claim copyright to Jonathan’s music but that was quickly resolved as Jonathan had proof that all of it was his. In addition, someone hijacked his Facebook account and that was a story in a half where we ended up going to the news after exhausting every avenue with reaching out to Facebook. After that Facebook quickly gave him back control of his fan Page (at the time it had over 80,000 fans and now it’s at over 155,000 fans). Something they said was impossible before the media was contacted. I just want to be clear that this (the JonathanEmile channel suspension), happened without warning. He got a call from a friend who noticed it was down and wanted to know why and he can no longer access his YouTube channel because of the suspension. We combed through all of the content prior to posting it on the channel and look at what has happened. All the others are original songs and original music videos. I want to point out that on YouTube Jonathan Emile has over a million of views, thousands of subscribers and original, appropriate material that meets YouTube’s criteria (via his suspended channel). We do not spam or solicit people for money, etc. We have branded an artist, Jonathan Emile, and shared his music via our independent label Mindpeacelove Records. We have invested money in making quality videos and although the content belongs to us the sad reality is that at the end of the day if YouTube decides to take us down, whether it is a mistake or a conscious decision, they can take our online presence away and all our subscribers with it. I could understand if we broke a law or violated some code but that was and is not the case. To have our YouTube account suspended or terminated is a huge blow to our company and something I now believe should be brought to the attention of the public. It is my hope that YouTube/Google will be more user-friendly when shutting down accounts to ensure that those that are wrongfully penalized (we all know that mistakes happen), have an avenue other than the media to communicate with them to save their good channels (those that meet guidelines but were shut down). Social media is only going to continue to expand in the future and it is better to establish positive relationships with the average user whenever possible to foster good relationships. We may be ‘users’ but the advertisers want us and millions of dollars are made with us playing a huge role in that and I feel like we are being ignored in relation to the issues that seem to arise with the community guidelines. YouTube presents as a free user-friendly network where you can post comments, interact with other users and even make money if you choose as long as you observe and respect their rules. These are the positive things that we and millions appreciate about YouTube. There are many users who have posted in the Google forums (I have been keeping tabs in the forums and posted a question as well as in a few threads), and who have had their accounts suspended and some (like us) did not break these guidelines and may never get an explanation as to why YouTube took us down. I am sure that it is hard to monitor millions of users seamlessly and without error. That is why YouTube should consider providing a way for users to appeal a suspension without warning just in case an error was made in the deletion of users account. At the time, this does not exist (that is: for the community guidelines breach). At the end of the day we value YouTube/Google’s community and being a part of it – we just want the Jonathan Emile channel back and if possible find our what our error was, if anything, so that we would be cautious not to do so again. We haven’t posted anything to his Facebook Page and website yet but we will probably have to go the open letter route in our next step in hopes of getting YouTube/Google’s attention to reopen his YouTube channel. I know exactly how you feel… sadly your situation is appearing to be more and more common. I think we were very very lucky to get our account back and what makes this more frustrating is that we have had no communication from YouTube so we’re not even sure what got our account back. I feel for you and wishing you all the best of luck. Thank you very much for your prompt response. Our server was down as we were doing some maintenance work so I just received your response via e-mail today. Almost all of the forums and stories of the people who have had their YouTube channels given back to them have said that they do not know why their channel was taken down in the first place. Not one, that I have read about, was given an explanation – just like you. How could one know not to make the same mistake (if one was made in the first place), if they do not know what tat mistake was? All they can do is tread very, very carefully. There is something I think you could help us with. You mentioned a reporter/ source who was thinking about going to press with your story when your YouTube channel was suspended. You didn’t mention that persons name for good reason, however I would like to know if you would be willing to either put this person in contact with us or ask that s/he take a look at the information I sent you. My hope is that this person will review our information and contact YouTube/Google source to ask them a few questions. By following in your footsteps I hope that this would grab the attention of a YouTube/Google representative and that they would evaluate our content and see that we pose no threat to their guidelines, etc. Please let me know if this is possible Dave – again thank you for responding! And we’ll see what we can do. I have a similar question as Ruth and I need your help. My YouTube account was terminated yesterday. Similar to yours, I don’t know why it was terminated. The email said it was my first strike and it violated Community Guidelines, but minutes later my account was banned. My YouTube videos are all fitness workouts. I help people get in shape and my loyal blog and newsletter followers are so sad and disappointed that they can’t see my videos anymore. Some can’t afford the gym and are overweight and really rely on my videos which show them how to workout at home. I followed in your footsteps and wrote an open letter to YouTube on my blog. In less than 24 hours, I have over 150 comments from my followers who are begging YouTube to reinstate my channel. I have submitted a press release to PRWeb. It should be distributed in the next 24 hours. Dave, my question is the same as Ruth’s. I was wondering if you could put me in contact with the reporter you mentioned in your interview with Gideon, or tell the reporter about my situation. I am hoping this would lead to a connection with someone at YouTube or Google that could reactivate my account. Thank you Dave! I sent you an email through support and they said it was forwarded to you. I just wanted to thank you for your email and to let you know the good news – I incredibly got my YouTube channel back! I owe a lot to you! The interview that you did with Gideon was awesome and very informative. I modeled your open letter to YouTube on my blog and got 200 responses. I then did a press release to PRWeb and referenced your open letter and Problogger’s as well as the link for that article. I found your press release and modeled it. Anyway, about 7 hours after my press release went live, my YouTube account was restored. Listening to your chats with 2 guys who are in the know leaves me demoralised, because I can see that even people who have better access to YT, are as much in the dark as I am. YT and Google do not communicate with us. They can destroy years of work and we have no idea why and as we don’t know, we can defend ourselves because we ignore the charges and because there is no APPEAL PROCESS. My YT termination story comes one year after this was happening to you. THE HORROR of it, is that the same is happening again and I have nowhere to go.